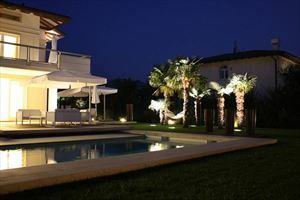 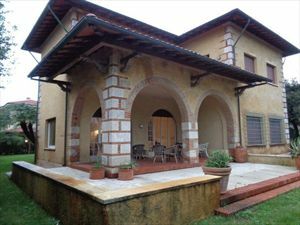 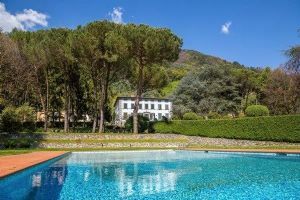 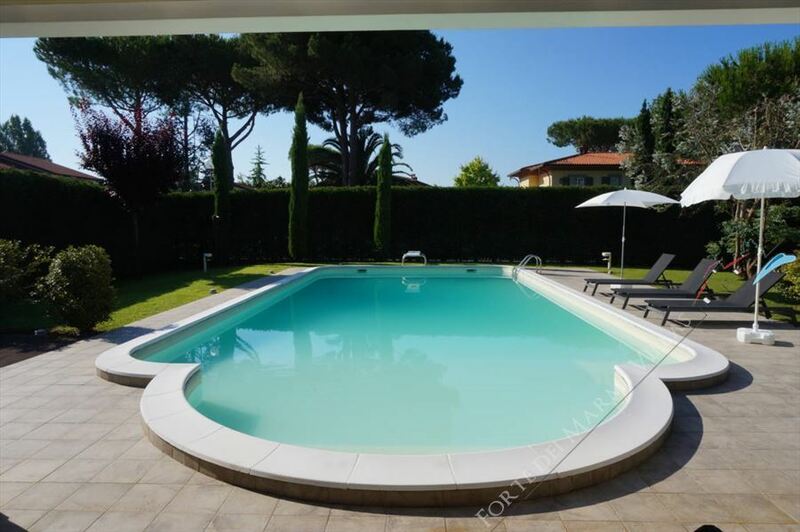 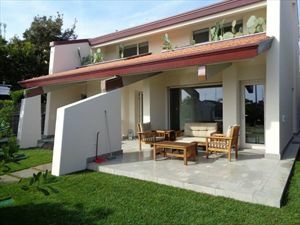 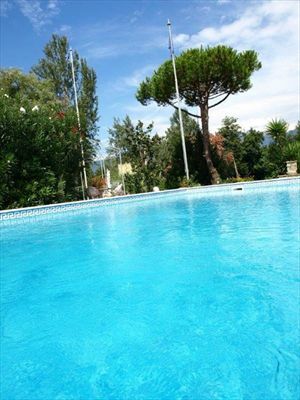 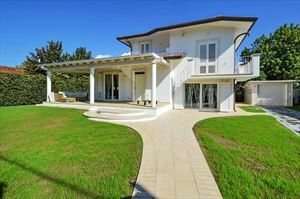 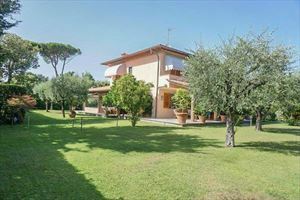 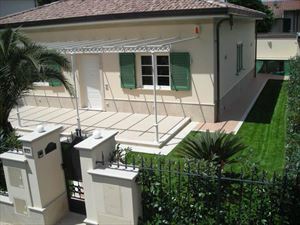 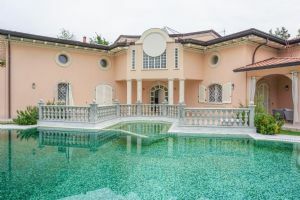 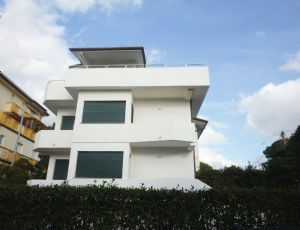 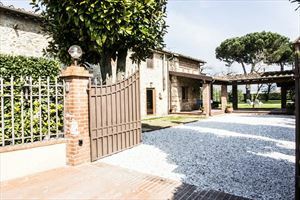 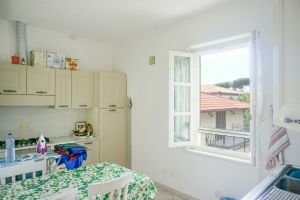 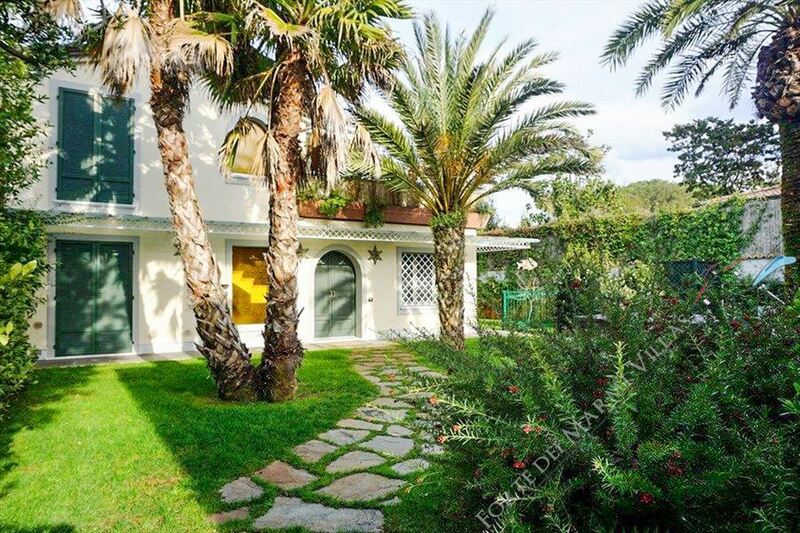 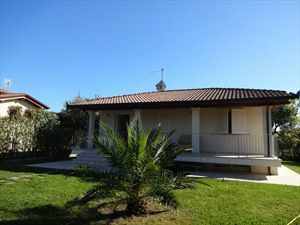 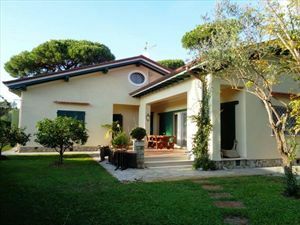 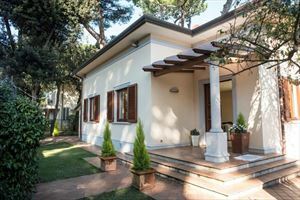 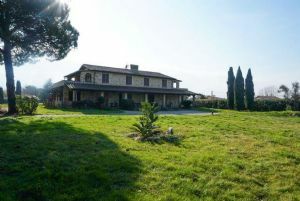 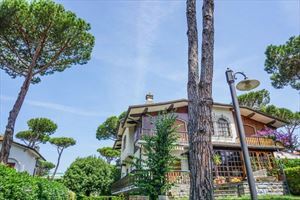 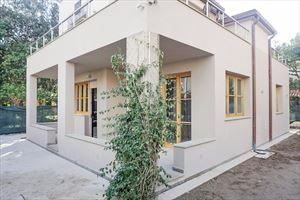 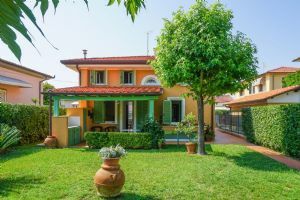 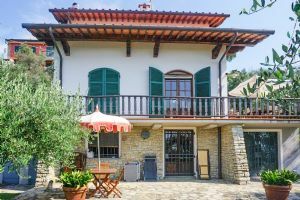 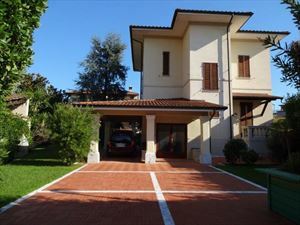 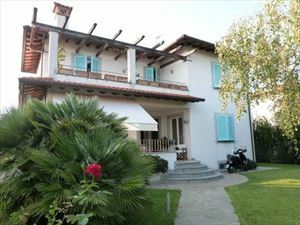 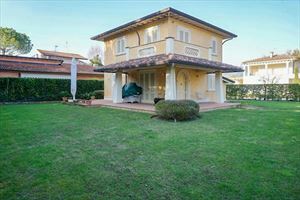 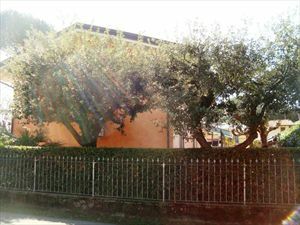 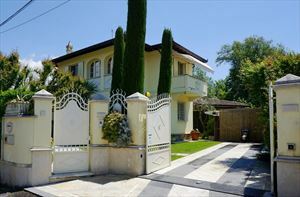 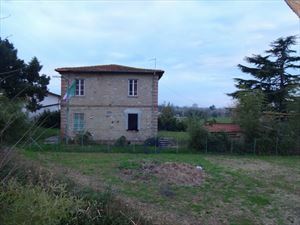 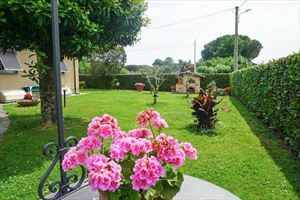 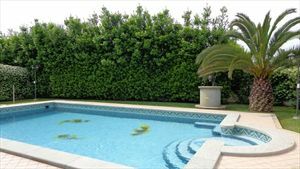 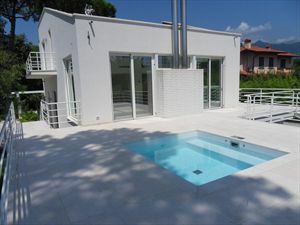 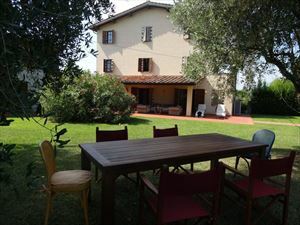 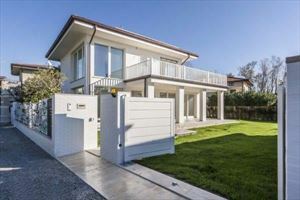 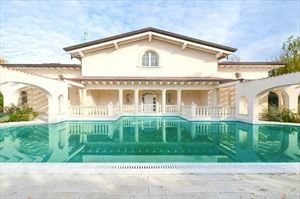 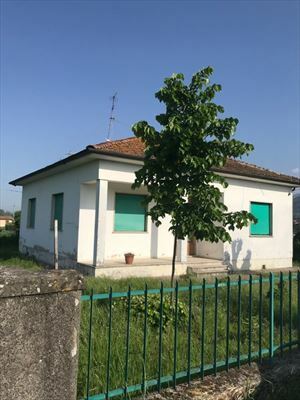 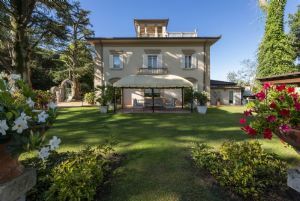 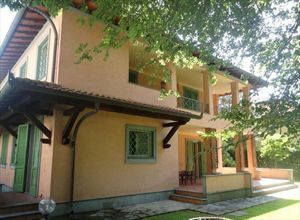 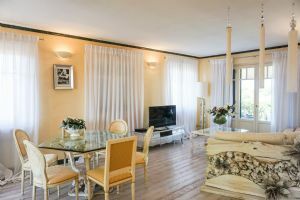 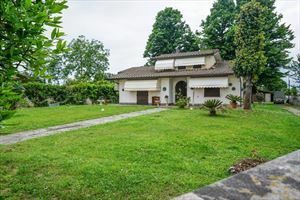 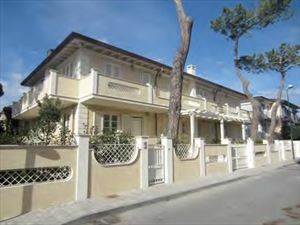 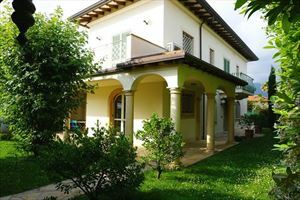 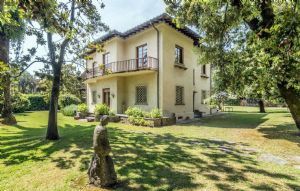 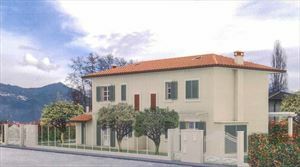 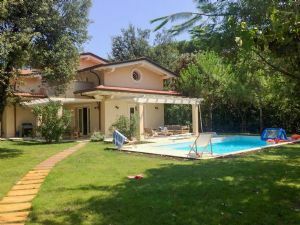 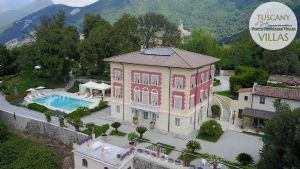 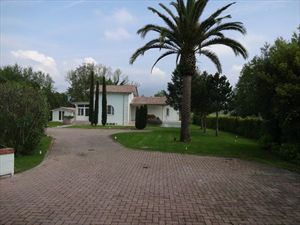 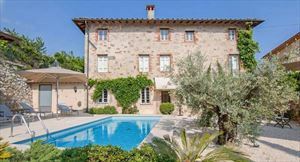 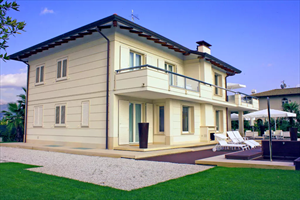 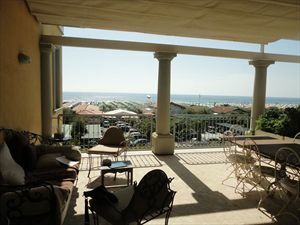 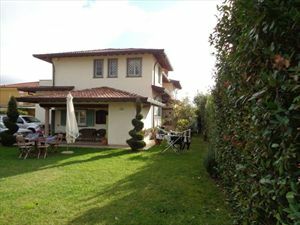 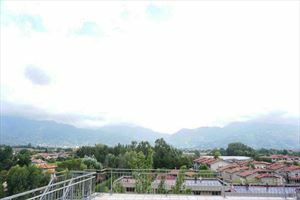 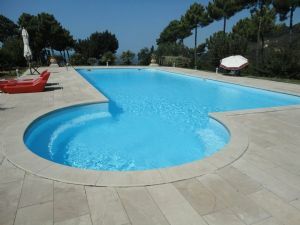 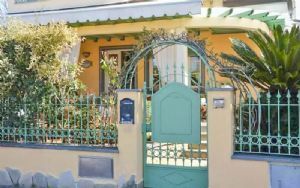 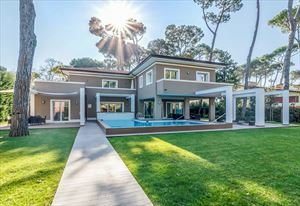 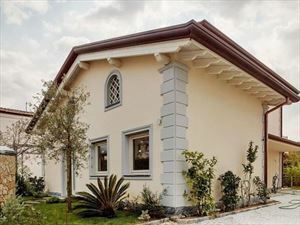 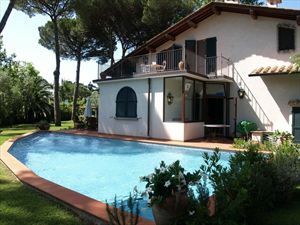 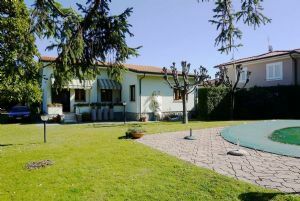 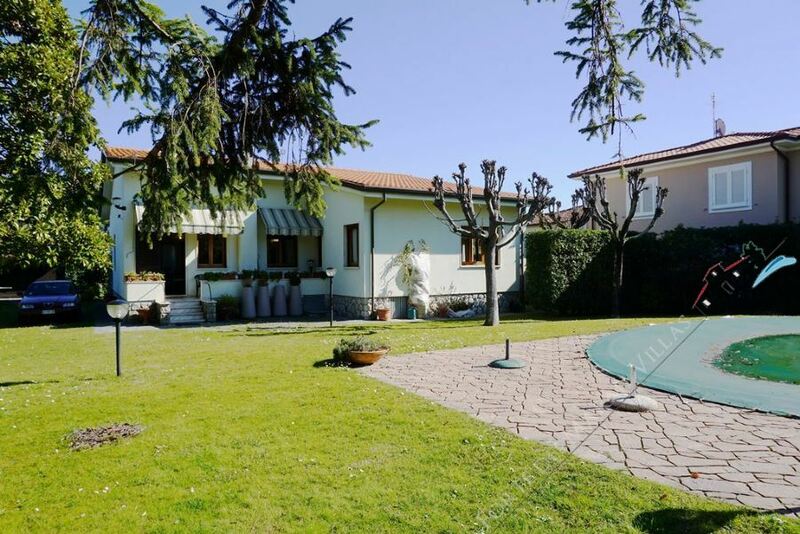 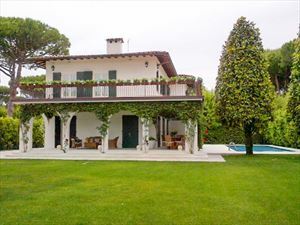 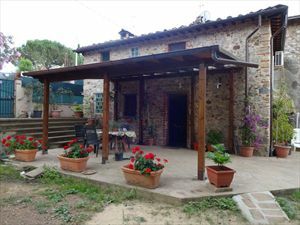 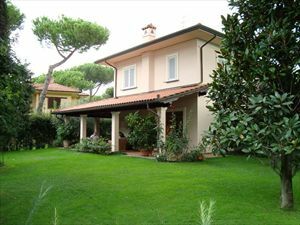 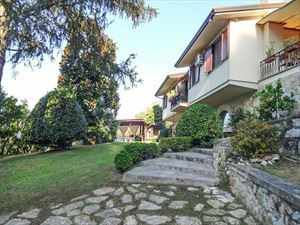 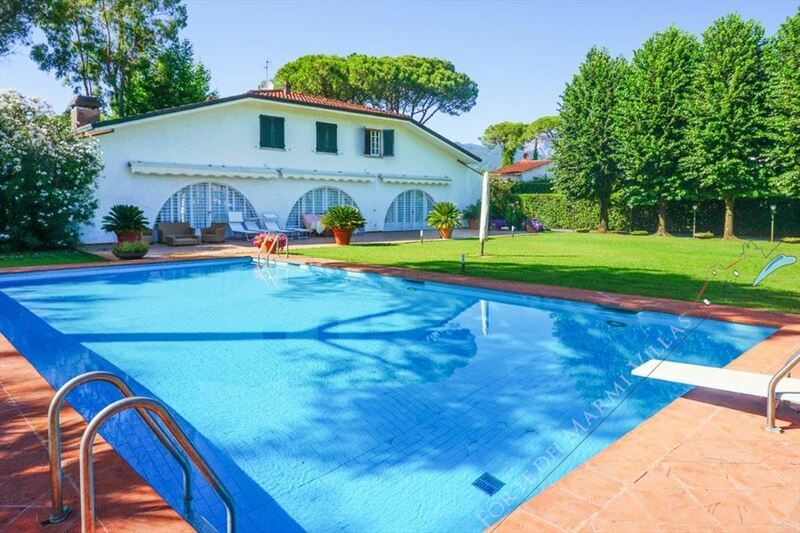 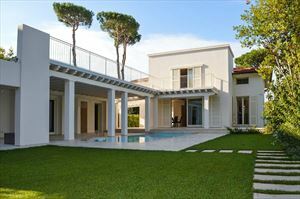 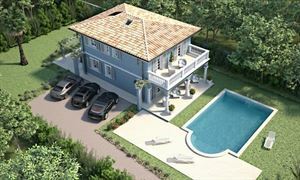 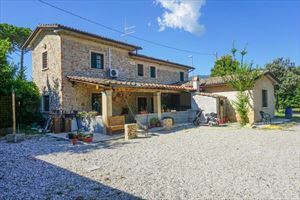 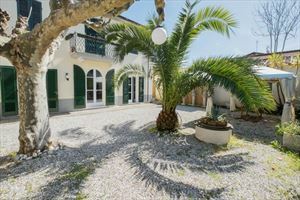 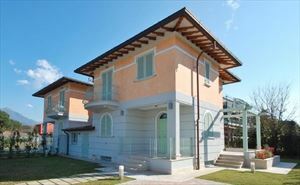 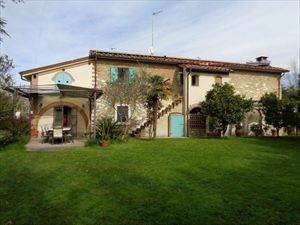 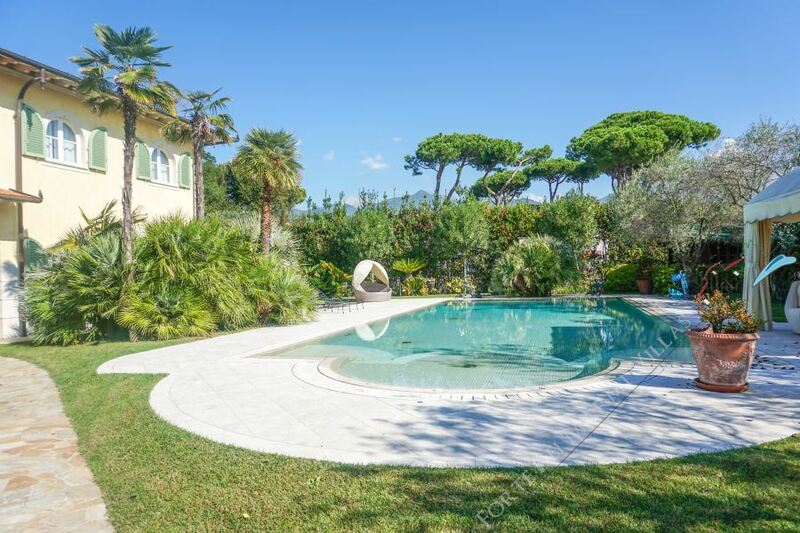 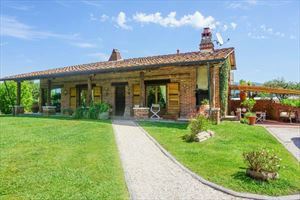 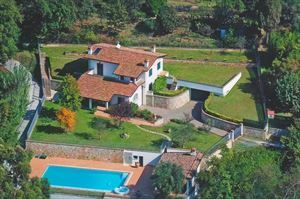 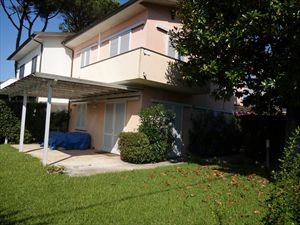 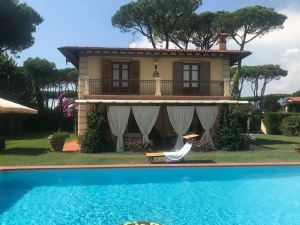 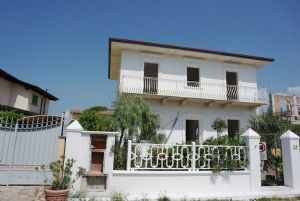 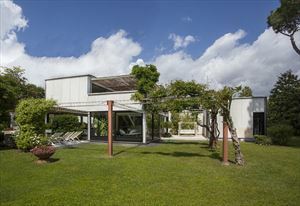 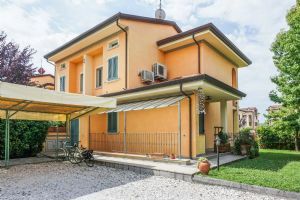 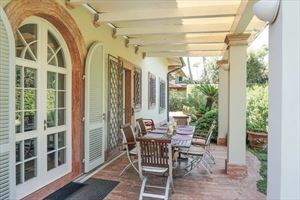 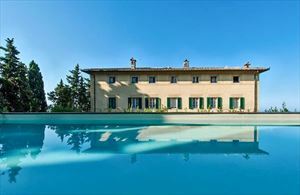 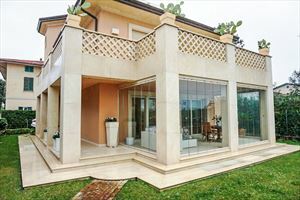 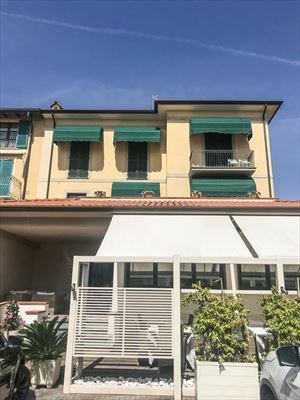 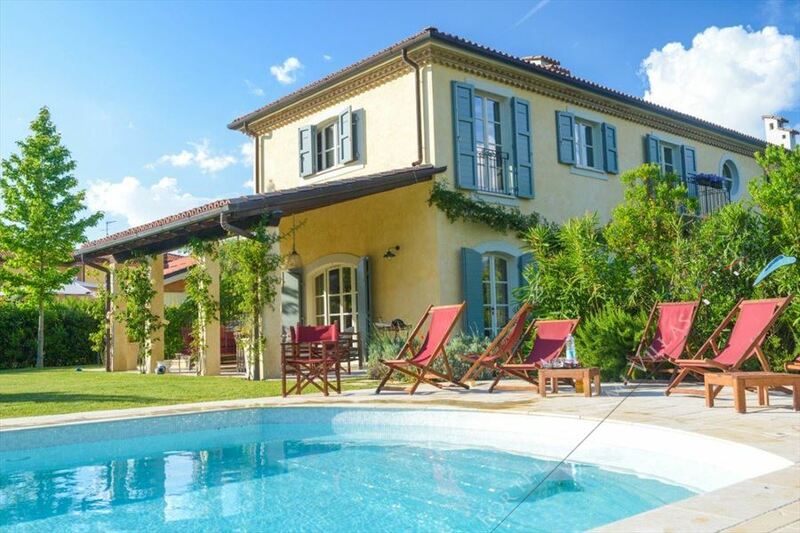 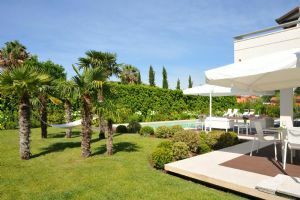 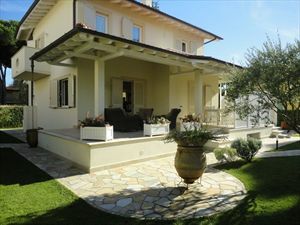 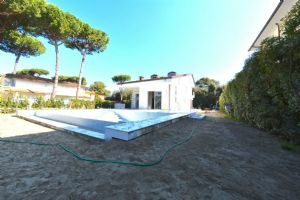 A new detached villa (300 sqm) with a garden and swimming pool, located in a quiet area of Forte dei Marmi (Vittoria Apuana) only 1 km distant from the sea. 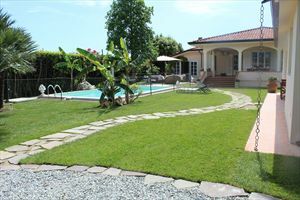 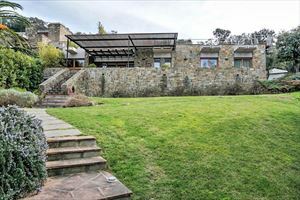 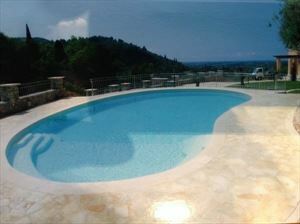 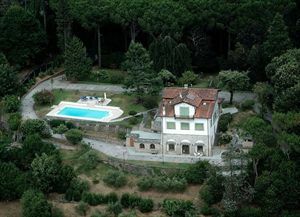 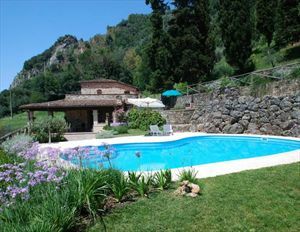 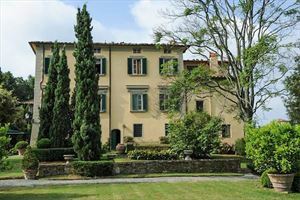 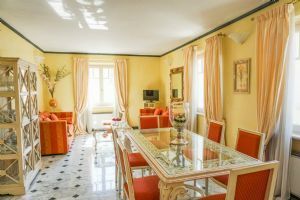 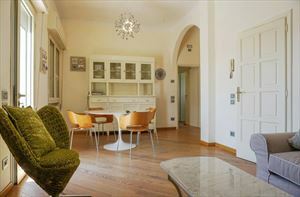 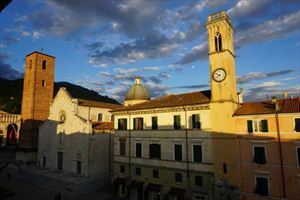 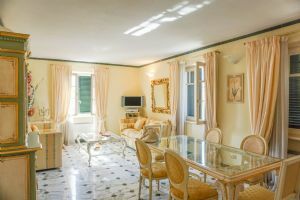 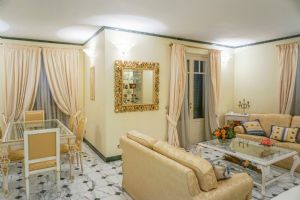 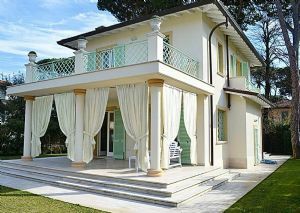 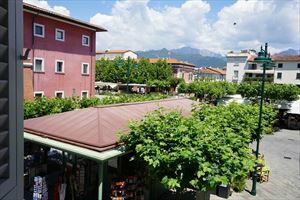 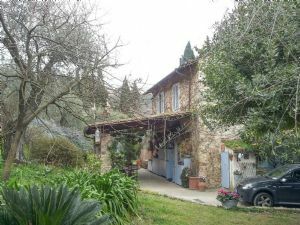 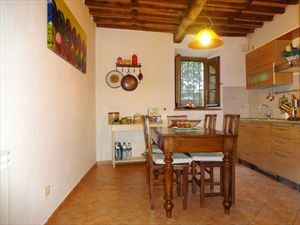 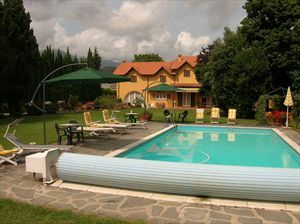 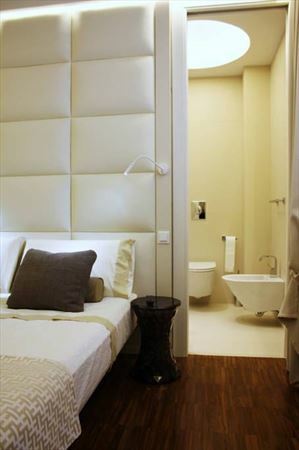 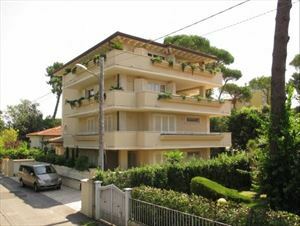 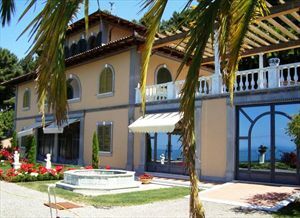 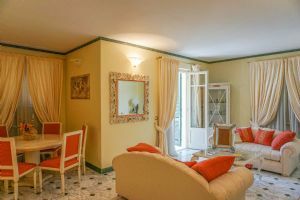 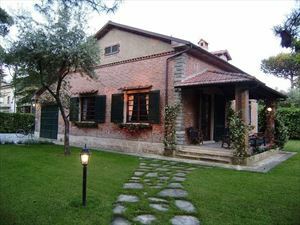 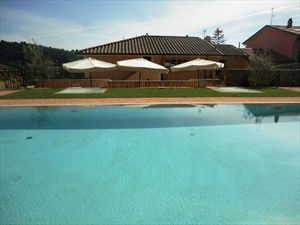 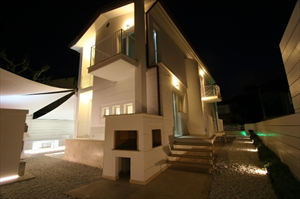 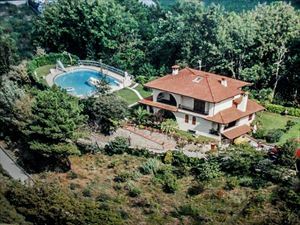 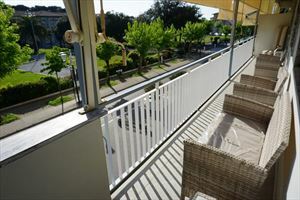 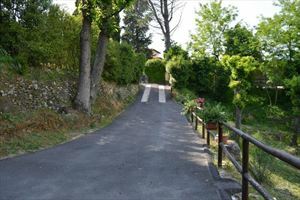 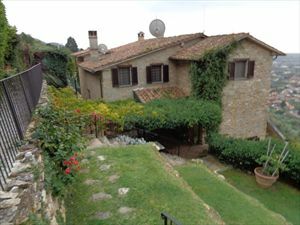 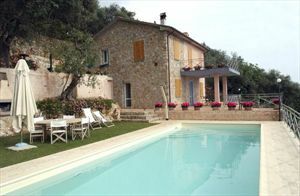 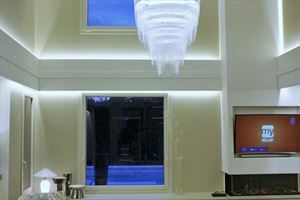 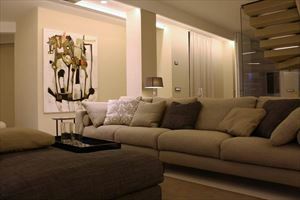 The villa is equipped with air conditioning, alarm system, internet Wi-Fi, satellite TV, solarium. 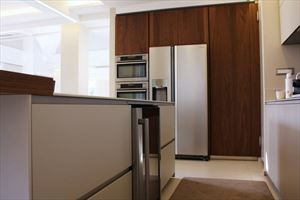 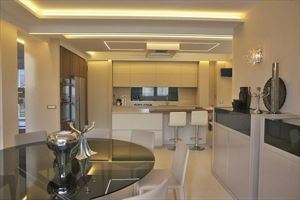 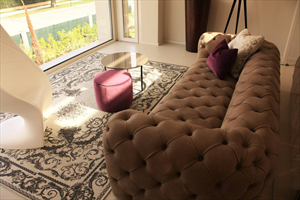 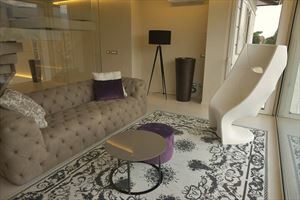 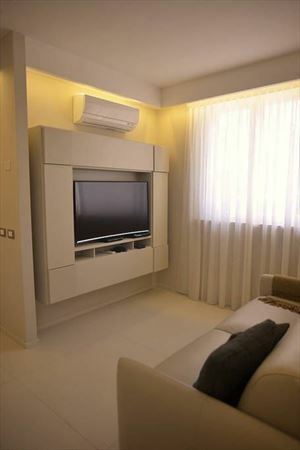 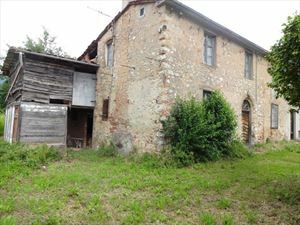 The house benefits further from high quality finishing and designer interior. 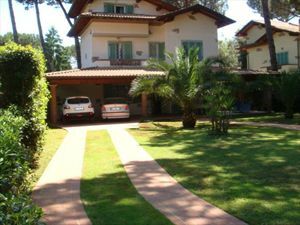 There is a parking for 4 cars. 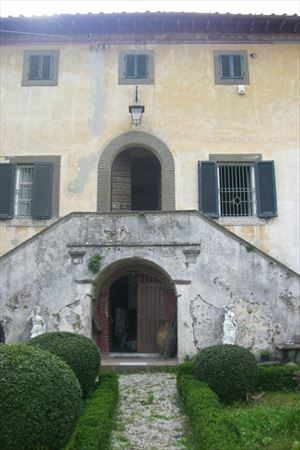 The gate has an automatic control system. 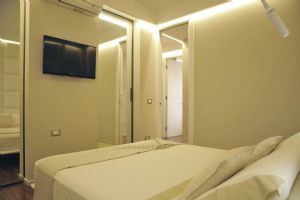 The ground floor comprehends a living room, dining room, a fully furnished modern kitchen, a laundry room, a guest bathroom, a guest suite with a small living room, a double bedroom and a large bathroom with shower. 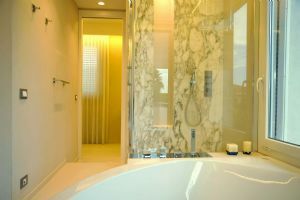 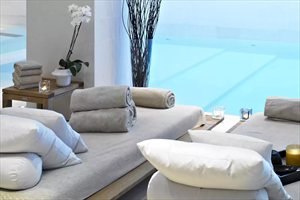 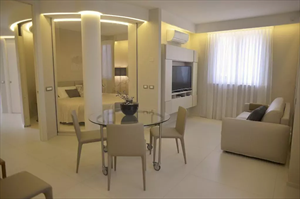 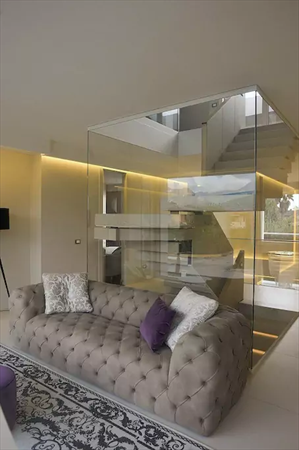 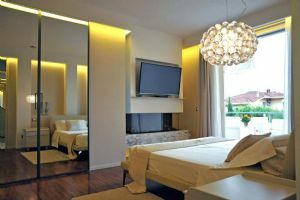 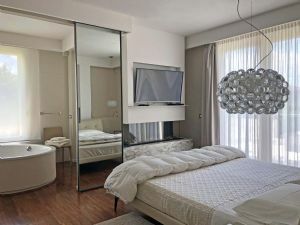 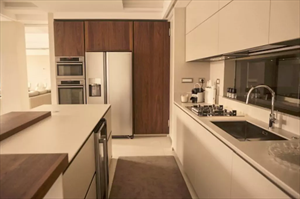 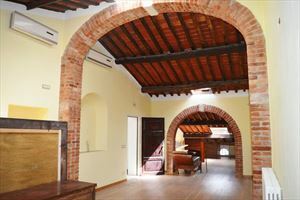 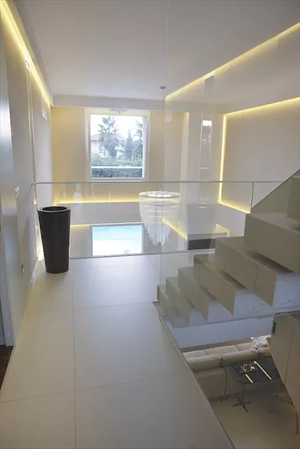 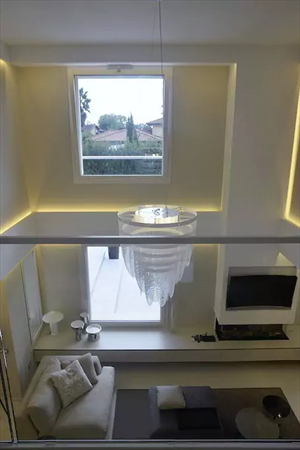 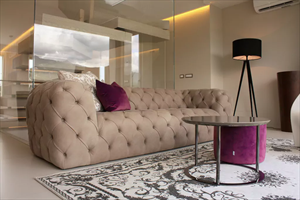 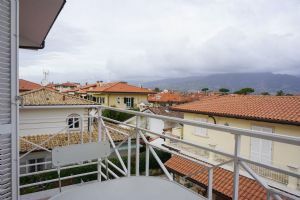 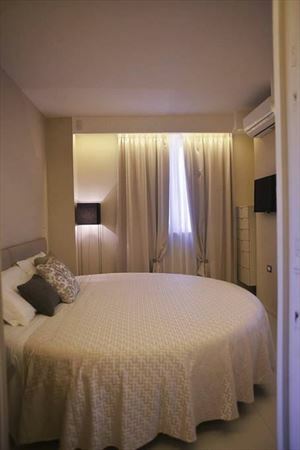 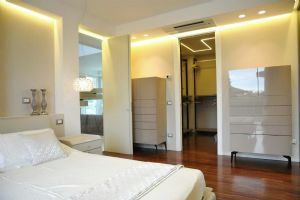 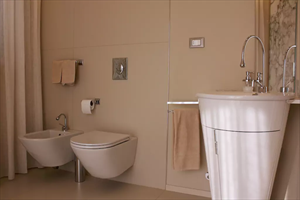 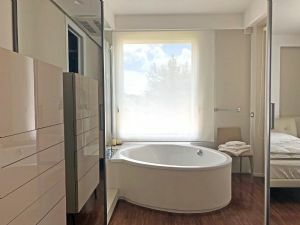 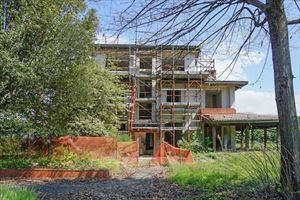 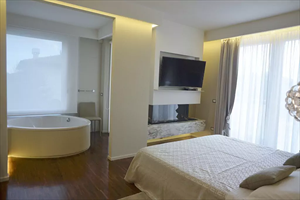 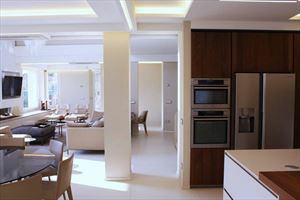 The top floor includes master bedroom with a private bathroom with jacuzzi, mini-bar, bathroom with tub and shower, dressing room, large balcony with furniture; 2 interconnecting double bedrooms with bathroom and wardrobe, 1 double bedroom with en suite bathroom.